If you listened to Alexandria Ocasio-Cortez on Late Night with Seth Meyers last night, you’d think the late night host was on Ocasio-Cortez’s payroll. Meyers called her socialist “Green New Deal” a “really exciting” plan and refused to challenge Ocasio-Cortez on any of the facts, no matter how blatantly false. For instance, Meyers briefly asked Ocasio-Cortez about the allegation that her plan mentioned eliminating farting cows. “One of the things we’re even hearing the President say is that you would outlaw cows, cows farting that would be out…any of that true at all?” asked Seth Meyers. And that was that. The audience was lead to think that AOC was being fully transparent and the attacks against her were just plain silly. We don’t expect the highest level of scrutiny from late night show hosts, but it only takes a little common sense to see through this plan. Has Ocasio-Cortez completely forgotten what her own office sent to NPR? Or is she deliberately misleading people? 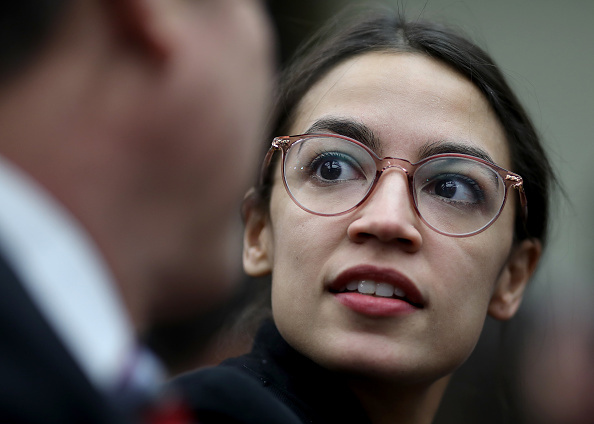 The confusion comes because Ocasio-Cortez, after her summary of the plan received so much scrutiny, attempted to change and obfuscate what the intentions of the plan really were. She tried to walk back the cows comment among others since the rollout was botched so thoroughly, but it is clear from the initial announcement and summary of the plan that “farting cows” are in her sights. This is preposterous. Without stable electric grids, of course Americans would have to “cut back” on energy usage. With higher energy prices causing higher prices for everyday goods and services, of course we’d have to cut back. But for Alexandria Ocasio-Cortez and Seth Meyers, basic economics makes bad television.